The National Institute for Occupational Safety and Health (NIOSH), in a combined effort with OSHA, the Center for Construction Research and Training and others, have announced the second-annual construction Fall Safety Stand-Down during the weeks of May 4-15, 2015. This event follows last year's successful Stand-Down and asks employers and workers across the nation to pause their work and dedicate time to activities that promote the prevention of fatalities from falls, which are the leading cause of death in the construction industry. Learn more. OSHA published a proposed revision to its Eye and Face Protection Standards that updates PPE requirements in the general industry, shipyard employment, longshoring, marine terminals and construction standards. The proposal incorporates the latest American National Standards Institute eye and face protection standard, which was adopted after OSHA issued the final rule on PPE in 2009. The proposal also updates language in the construction eye and face protection standard to make it more consistent with general industry and maritime standards. Review the proposal. UK Ladder Group Shares Astonishing Ladder PicturesThe UK Ladder Association received a record-breaking number of entries in their annual search for un-staged photos of unsafe ladder practices. The winning picture shows two men inside the bucket of an excavator, 20 feet off the ground, with one of them holding a ladder in the bucket so the other could climb to the top of a chimney! See the top three photos. The ComplianceSigns.com team has strived to provide the best customer experience since its founding. From the design phase to delivery at your front door, we want all our customers to come away satisfied with our products and service. Based on our 2014 Amazon Customer Experience Data Report, we’re happy to see we are doing just that. 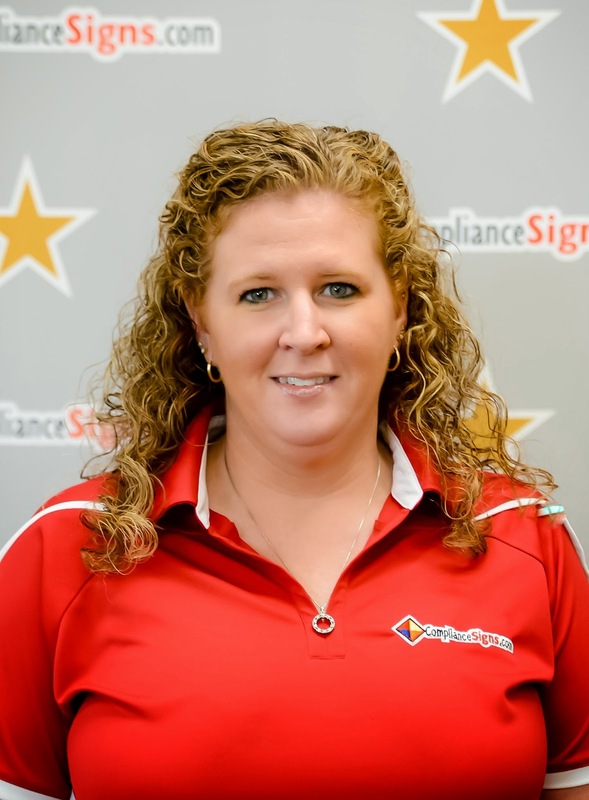 "Building trust keeps ComplianceSigns.com at the top of the list for return customers," said customer service supervisor Lori Queckboerner. 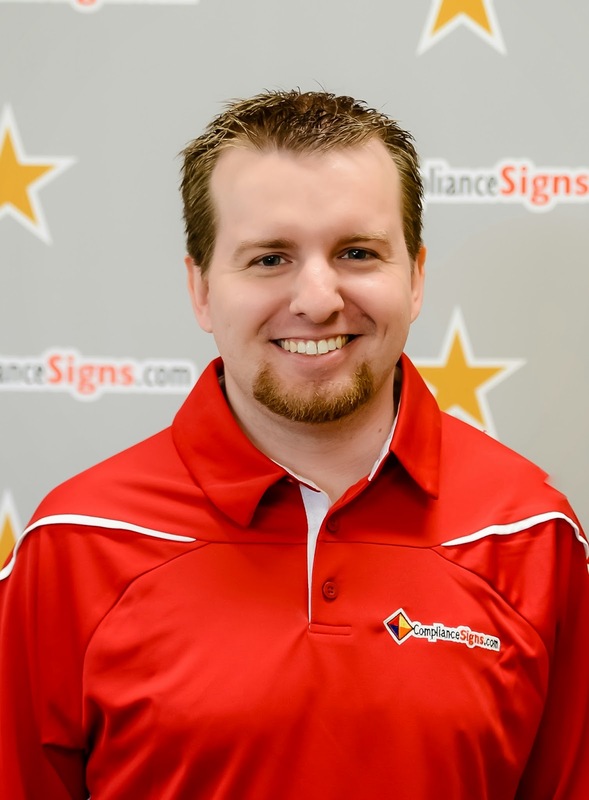 "We try to make each customer feel appreciated and confident in their purchase with us, from placing an order for standard items or working with them on custom signs to fit specific needs." ComplianceSigns.com began offering select products on Amazon.com in February of last year in an effort to reach new customers who might have never heard of our company. While our product offering paled in comparison to what is on our main website; we dedicated ourselves to offering high quality products with friendly, helpful customer service. "I think our business model and the service we provide is ideal for the Amazon marketplace," said sales and customer service representative Ryan Looney. "The kind of service a customer would get if they order on Amazon or buy from us directly is exactly the same. Either way they are guaranteed the same great customer service experience." Based in Chadwick, IL, ComplianceSigns.com currently has over 30,000 signs and labels on the Amazon marketplace. To view our full catalog of products, visit our online store. OSHA released details on 13 significant fines in February. Proposed fines total $3.7 million, compared to $3.1 million in January. A single case contributed nearly half of the February total. 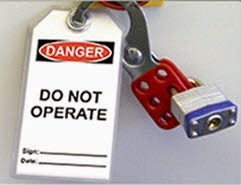 Common citations included machine safety, amputation and chemical hazards. In July 2014, a worker lost three fingers while operating a woodworking machine without required safety mechanisms in place. A resulting inspection identified 12 willful, 12 repeat and 14 serious safety violations and placed the company in the Severe Violator Enforcement Program for failure to address the hazards. In a 3.5-year period, more than 1,000 work-related injuries were recorded at the manufacturer. OSHA says the company "intentionally and willfully disregarded OSHA standards and its own corporate safety manuals to encourage workers to increase productivity and meet deadlines. The company apparently blamed the victims for their own injuries, but there is clear evidence that injuries were caused by the unsafe conditions created by the company." Inspectors say the company did not take the necessary steps to protect its workers from being injured by moving machine parts. It did not prevent machines from unintentionally starting when workers were changing tools, and also failed to provide adequate safety mechanisms to prevent contact with those moving parts. 14 serious violations included failure to train workers on safety procedures and hazards present when servicing machinery, inadequate drenching facilities for workers exposed to corrosive materials, electrical safety violations and lack of readily-accessible emergency stop buttons. See the citations here. The report shows that after dropping to 35-year lows in 2009, the number of truck drivers or passengers who died in crashes increased between 2009 and 2012. 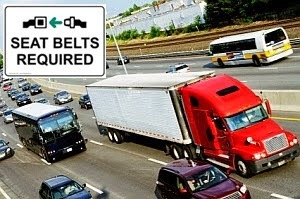 Some 700 truck drivers or passengers died in crashes in 2012, and more than a third of the drivers who died were not wearing a seat belt. The Occupational Safety and Health Administration (OSHA) offers on-site consulting services to both small- and medium-sized businesses. Based on its observations, your company will receive candid feedback on ways to improve overall safety and health performance. There is no fee assessment, since the programs are primarily funded by the federal government and all correspondence will be kept confidential.